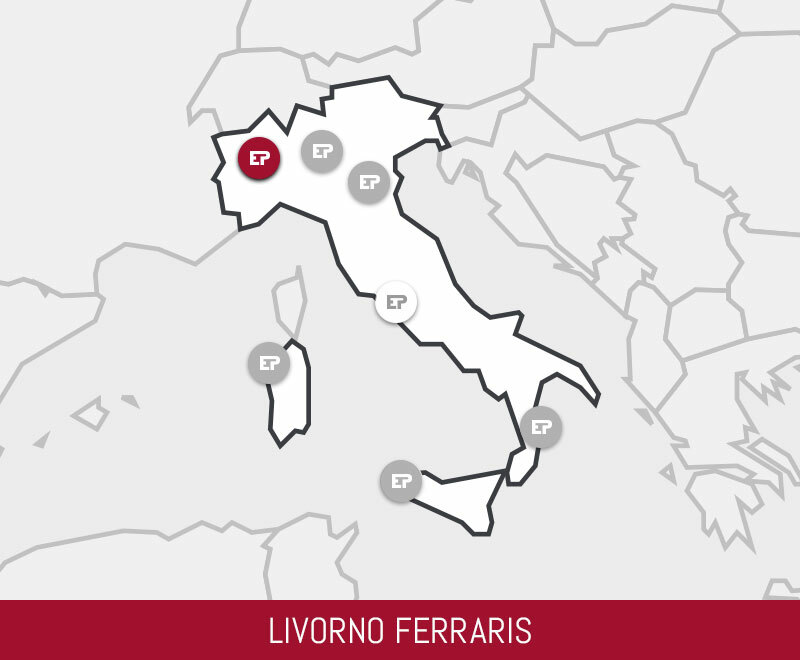 The Livorno Ferraris thermoelectric plant is located in the municipality of the same name in the province of Vercelli. The plant, which is owned by EP Produzione Centrale Livorno Ferraris S.p.A. (EP Produzione 75% and BKW Italia SpA 25%), came into operation in October 2008. It is a combined cycle (CCGT - Combined cycle gas turbine) plant with net installed power of 805 MW, consisting of two gas turbine units and one steam turbine. The latter uses the steam produced by the two heat recovery steam generators and obtained thanks to the heat of the output gasses from the gas turbines, which reach a temperature of over 560°C. The combined use of the gas turbines and the steam turbine enables the plant to achieve a high yield (around 57%), with consequent relatively low greenhouse gas emissions, a sign of a limited environmental impact. 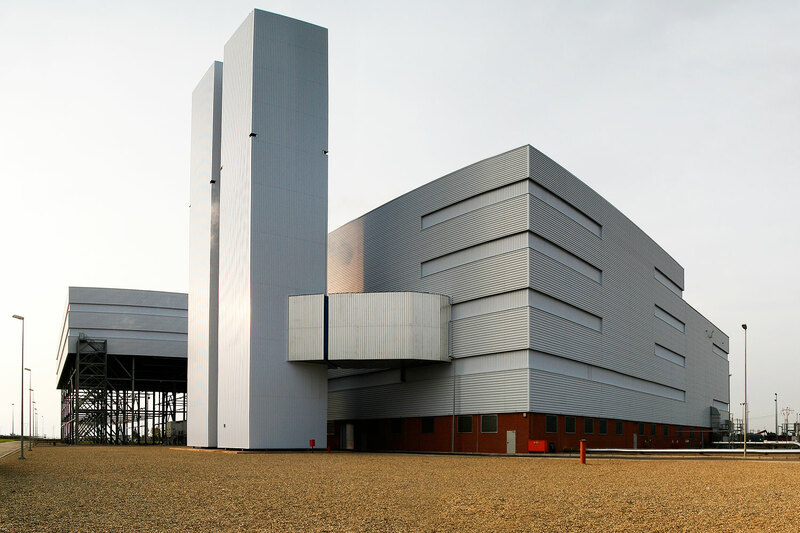 The plant is powered by the natural gas supplied from the national grid (Snam), through a 600-metre long pipe. The plant is located in the rice fields of the area of Vercelli. The delicate ecosystem in which it operates has imposed strict environmental rules, which have required the implementation of significant monitoring campaigns for the air, water and noise, both to verify compliance with the legal limits and to be a feature of the design and execution of the works since the construction stage. Also the visual impact has been limited, thanks to the adoption of a steam cooling system made with a forced air condenser and chimneys enclosed in an architectural design which makes the plant easy on the eye. In addition, the visual impact benefits from the growth of tree lines around the plant. Finally, a specific monitoring program for some local protected animal species has successfully researched their presence and development with the aim of protecting the biodiversity of the surrounding ecosystem. » Download the "Environmental Statement of the Livorno Ferraris plant"